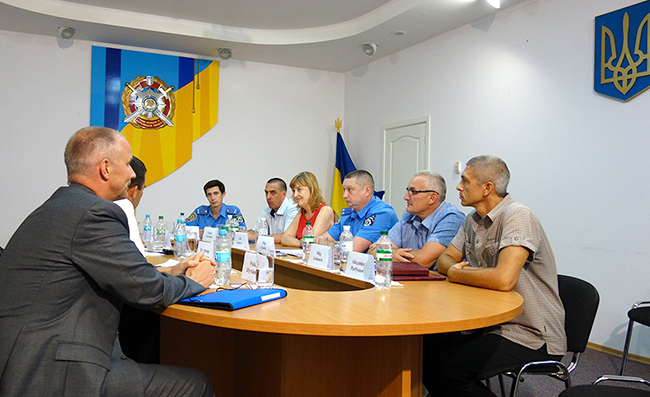 EUAM‬ enhanced regional outreach team continues its fact-finding activities in ‪Kharkiv‬ oblast. The EUAM members have already conducted a range of meetings with representatives of Kharkiv Oblast Administration, Regional Public Prosecutor’s Office, Kharkiv Regional Department of Interior Minister as well as civil society organisations — Committee for Fight against Corruption and Protection of Human Rights, Anticorruption Bureau and Kharkiv Infocenter. A number of further meetings are scheduled for the next two weeks. The purpose of the visit is to find out the Ukrainian counterparts’ opinion on the civil security sector reform process in the region as well as its challenges, obstacles and problems. Kharkiv oblast is characterized by a special security situation due to the closeness to the ATO zone but according to the Kharkiv regional authorities “all necessary precaution security measures are taken”.